Grigory Perelman, the Russian who seems to have solved one of the hardest problems in mathematics, has declined one of the discipline's top awards. Dr Perelman was to have been presented with the prestigious Fields Medal by King Juan Carlos of Spain, at a ceremony in Madrid on Tuesday. In 2002, the mathematician claimed to have solved a century-old problem called the Poincare Conjecture. So far, experts working to verify his proof have found no significant flaws. There had been considerable speculation that Grigory "Grisha" Perelman would decline the award. He has been described as an "unconventional" and "reclusive" genius who spurns self-promotion. 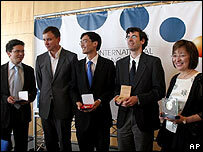 The medals were presented to three other winners at the International Congress of Mathematicians (ICM) in Madrid. John Ball, outgoing president of the International Mathematical Union, said he had travelled to St Petersburg to meet Perelman in person to try to understand his reasons for declining the award. Professor Ball said he had spoken to Dr Perelman of personal experiences with the mathematical community during his career that had caused him to remain at a distance. "However, I am unable to disclose these comments in public," he said, adding: "He has a different psychological make up, which makes him see life differently." The Fields Medals come with prize money of 15,000 Canadian dollars (£7,000) for each recipient. They are awarded every four years, when the ICM meets. Founded at the behest of Canadian mathematician John Charles Fields, the medal was first presented in 1936. 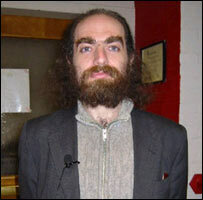 In 1996, Perelman turned down a prize awarded to him by the European Congress of Mathematicians. Observers suspect he will refuse a $1m (£529,000) prize offered by the Clay Mathematics Institute in Massachusetts, US, if his proof of the Poincare Conjecture stands up to scrutiny. The Fields Medals are regarded as the equivalent of the Nobel Prize for mathematics. They are awarded to mathematicians under the age of 40 for an outstanding body of work and are decided by an anonymous committee. The age limit is designed to encourage future endeavour. The winners are Andrei Okounkov of Princeton University; Terence Tao from the University of California, Los Angeles; and Wendelin Werner of the University of Paris-Sud in Orsay, France. "It's quite an honour - very different to anything that's happened to me before. 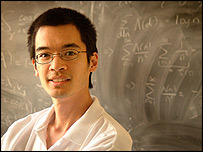 This prize is the highest in mathematics," Terence Tao told the BBC News website. "Most prizes are specific to a single field, but this recognises achievement across the whole of mathematics." Tao received the award for a diverse body of work that, amongst other things, has shed light on the properties of prime numbers. Despite being the youngest of the winners at 31, he has a variety of mathematical proofs to his name and has published over 80 papers. Fellow winner Wendelin Werner, whose work straddles the intersection between maths and physics, commented: "We are all around 40 years old - so still relatively young. It's a big honour but also quite a lot of pressure for the future." Andrei Okounkov, who works on probability theory, commented: "I suppose we will have to exhibit exemplary behaviour from now on, because a lot of people will be watching." A spokesperson for the Clay Mathematics Institute said it would put off making a decision on an award for the Poincare Conjecture for two years. The $1m prize money could be split between Perelman and US mathematician Richard Hamilton who devised the "Ricci flow" equation that forms the basis for the Russian's solution. Grigory Perelman was born in Leningrad (St Petersburg) in 1966 in what was then the Soviet Union. Aged 16, he won the top prize at the International Mathematical Olympiad in Budapest. Having received his doctorate from St Petersburg State University, he taught at various US universities during the 1990s before returning home to take up a post at the Steklov Mathematics Institute. He resigned from the institute suddenly on 1 January, and has reportedly been unemployed since, living at home with his mother. "He was very polite but he didn't talk very much," said Natalya Stepanovna, a former colleague at the Steklov Mathematics Institute in St Petersburg. On his decision to resign his post, she speculated: "Maybe he wanted to be free to do his research." Dr Perelman gained international recognition in 2002 and 2003 when he published two papers online that purported to solve the Poincare Conjecture. The riddle had perplexed mathematicians since it was first posited by Frenchman Henri Poincare in 1904. It is a central question in topology, the study of the geometrical properties of objects that do not change when they are stretched, distorted or shrunk. The hollow shell of the surface of the Earth is what topologists call a two-dimensional sphere. If one were to encircle it with a lasso of string, it could be pulled tight to a point. On the surface of a doughnut, however, a lasso passing through the hole in the centre cannot be shrunk to a point without cutting through the surface. The Poincare Conjecture says that a three-dimensional sphere is the only enclosed three-dimensional space with no holes. But proof of the conjecture has so far eluded mathematicians. Two other maths prizes were awarded at the meeting in Madrid. The Nevanlinna Prize is awarded for advances in mathematics made in the field of information technology. It went to Jon Kleinberg, a professor of computer science at Cornell University. 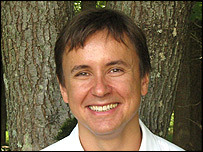 His work into link-related web searching has influenced Google. The newly created Carl Friedrich Gauss prize for applications of mathematics was awarded to the Japanese mathematician Kiyoshi Ito. Ill health meant the 90-year-old could not receive the prize - worth $11,500 - in person. It was picked up by his youngest daughter, Junko. The award honoured his achievements in the mathematical modelling of random events.